With about a decade of industry experience, we offer to our esteemed clients a comprehensive array of IT solutions. The broad array encompasses Networking, Web Development, Systems Integration, Sales & Support and Software Development in Kolkata. Our professional services are planned and devised by making use of sophisticated computer software and hardware. We have designed all our IT services after assessment of overall needs of the different companies. Moreover, we consider client satisfaction as our foremost priority, owing to which we are able to deliver suitable solutions to each and every requirement of the clients. 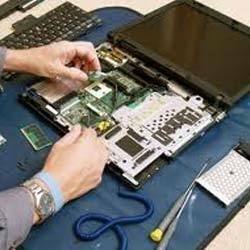 To effectively offer our IT support and repair services to the customers, we have developed a full fledged infrastructure. Our infrastructure is well segregated into various divisions such as Corporate Planning, Web And Software Design, Sound Engineers, Process Control, Operation And Marketing. Entire operations of our company starting from project planning till final execution are handled by the team of experienced IT specialists and business associates.